PATILAD Hotel is a state-of-the-art comfort paradise, in the heart of Lagos. We are equipped with the right facilities for lodging; featuring an intercontinental restaurant and bar with seasoned staffs, security and spacious parking space. We create pleasurable experience for our clients capitalizing on personalized service, intertwined traditional and modern architectural structure of our building and its unique location in one of the most bulging parts of Lagos. We are a premium lodging centre, recreation and event centre. 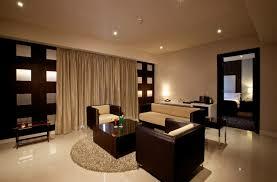 We plan to create an environment of pampered luxury that surpasses anyone in our industry in Lagos. Expanding our exposure via the Internet and social media to people that have not yet discovered this year-round paradise will allow us to maintain a higher than average occupancy rate and above average profits. PATILAD Hotel target market strategy is based on becoming a destination choice for the people visiting Lagos who are looking for a place to relax, recharge or want to do business. Our target market includes individuals or families looking for a serene yet engaging atmosphere in Lagos. This will include conference attendee, businessmen and women, honeymooners, tourists and drop-in customers. Our setting and facility are conducive enough to accommodate folks of different temperamental inclination. 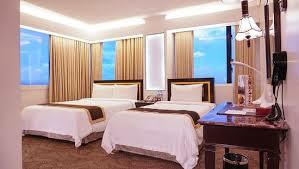 We operate a cozy just-like-home classic and exciting hotel. We also feature entertaining bands and comedians who are always a thrill to our guest, especially the weekenders. Other complimentary services include standard laundry, gymnastics services, car rentals and a medium-sized grocery store thus increasing our revenue channels. Our restaurant is posed to increase in weekly sales as we provide world-class intercontinental dishes in the whole 2km area of the district. Our projection is without any significant increase in advertising or exposure, but is based on the general average increase in tourism and business travel in Lagos. Our major customer segments are locals, tourists, travellers, and drop-in customers. We are available on all major hotel booking sites in Nigeria such as Hotels.ng, jumiatravels.com, wakanow.com and the likes. PATILAD HOTEL is researching the market to identify potential opportunities for future sales in this rapidly changing environment. PATILAD Hotel’s long-term goal is to establish itself as an internationally recognized provider of top-of-the-line hotel services. This goal does not prohibit PATILAD HOTEL from participating in additional segments. It does, however, provide a corporate focus and a differentiated offering. PATILAD HOTEL will begin operations with eighteen full-time positions. The positions are as follows; CEO, General Administrator, Waiters, Fitness Instructors, Cleaners, marketing and advertising and accountant. Our vision is to build a world class Hotel business in Nigeria, and earn our place amongst the first five in Nigeria by 2020. PATILAD Hotel is a newly established hotel that specializes in the provision of planned rooms, conference room, suites and restaurant services. We will provide hospitality and adventure to visitors. PATILAD Hotel’s mission is to become the foremost provider of hotel services in Nigeria and the number 1 choice of lodge to tourists and visitors. Provide the highest hospitality experience possible. To make the customers experience new with lots of exciting features each time they visit. Retain clients to generate repeat lodging and initiate referrals. Consistently improve on the quality of our services through constant feedback. Location: Situated in an in Ibejju-lekki, Lagos most thriving economic region and a desirable pleasure hotspot. Convenience: offer clients a wide range of services in one place. Administration: we are committed to serve customers, prepare and maintain rooms, highly responsive room services and maintain a close watch on expenses and collection of accounts receivable. Dayo Adetiloye – He is the founder and owner of PATILAD Hotels international has a multitalented business administrator who has been in the tourism and hospitality industry for over 25 years. He studied Economics from UNIBEN; with an MBA from the University of Lagos. He is a certified PMP holder, a graduate of the pan-African EDC business school, and has worked with many top-rated hotels in Nigeria. He was with Protea Hotel, Lagos for his first work experience, and worked there for 7 years, while he relocated to the United States and was opportune to be exposed to 3 years work experience in Walt Disney hotels in three different state there. He joined Lighters Houston Hotel Company to work as a sales and marketing executive for 10 years before returning to Nigeria to consult for tourism and hospitality companies. Funmi Johnson – She is a chartered accountant and also has an MBA. She is also a certified project manager and will be assistant administrator and also in charge of book keeping, financial balancing, account management and projects head. She has a 15 years’ experience in auditing, project managing with J&B accounting firm and was an auditor for Billings Way Groups of Events respectively. Richard Asuquo – He is a certified PMP consultant. He is a graduate of general arts from Obafemi Awolowo University, has a certified EDM certificate from Huston University South Africa, He has worked with Project Arts, FQL interiors and has a 13 years’ experience as a lead designer. He is the artist heart and head of the company, he is in charge of the creativity and entertainment management of the company. He is also in charge of the hotel facility. Kemi Philips – She is into general contracting, and a professional sales and marketing expert. She read marketing from the university of Port-Harcourt; she is also a master’s degree holder in digital marketing from the University of Hamburg. She has 15 years in general contracting, worked with Studio 24, Millennium Parks, and hosts a YouTube show. She is the head of general contracting, sales and marketing. The business will reach positive cash flow in its 1st year of operation, allowing for expedited repayment of its loan obligations, as well as for dividends to be paid to the owners. Estimated first year revenue is N87, 750, 000 with gross margin of N20, 550, 000. Pingback: Executive Summary of Transportation Company Business Plan in Nigeria.